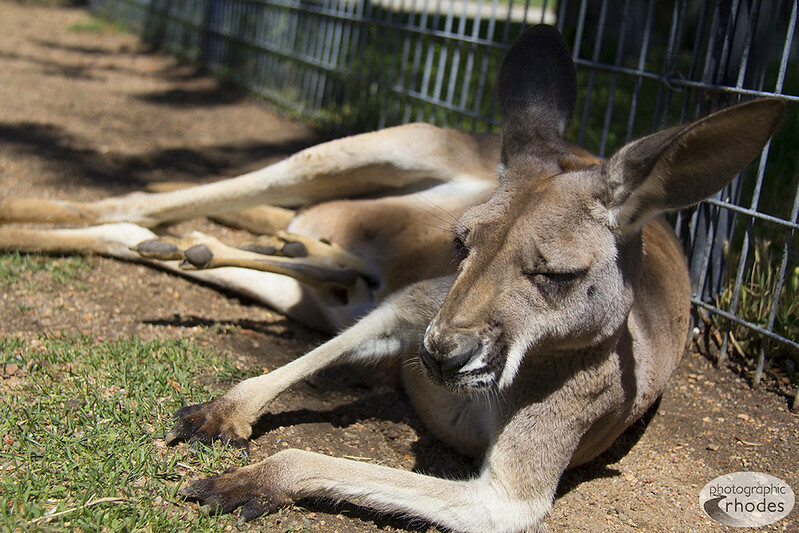 I loved watching this sweet mama kangaroo and her joey (in her pouch) resting in the sunlight. Believe it or not, I didn’t even have to zoom in to get this photo – I was actually that close. One of my favorite parts of Tanganyika Wildlife Park was petting the kangaroos. Check out my other photos from Tanganyika if you haven’t seen them yet. Photo of the Day: Whatchu Lookin At? I like animal photos and the baby joey’s long feet coming out of the pocket, right? Yes – that’s the baby’s feet – so cute! I only wish I could’ve seen the baby better. This is a lovely photo!! Love that you can only see the feet sticking out of the pouch!